A 1/7th scale figure of the electronic diva that travels at the speed of sound! 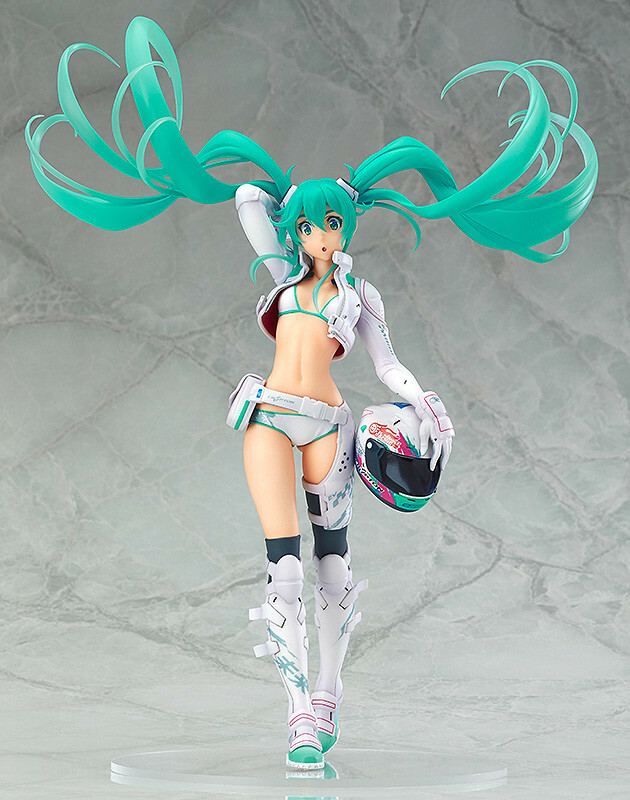 The Hatsune Miku GT Project's mascot character Racing Miku teamed up with the electric motorbike manufacturer 'TEAM MIRAI' to become 'Racing Miku 2014: EV MIRAI Ver.' which has now been made into this 1/7th scale figure! 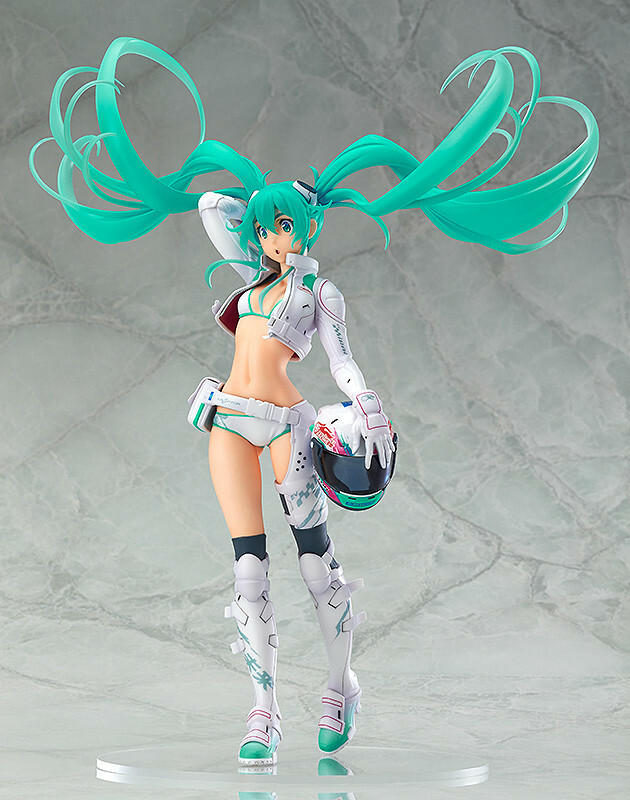 She is wearing the 2014 biker suit designed by Shigeto Koyama, walking along confidently with her long twintails fluttering behind her! The reverse side of her that was never visible on the original illustration is also filled with highlights for fans to enjoy. 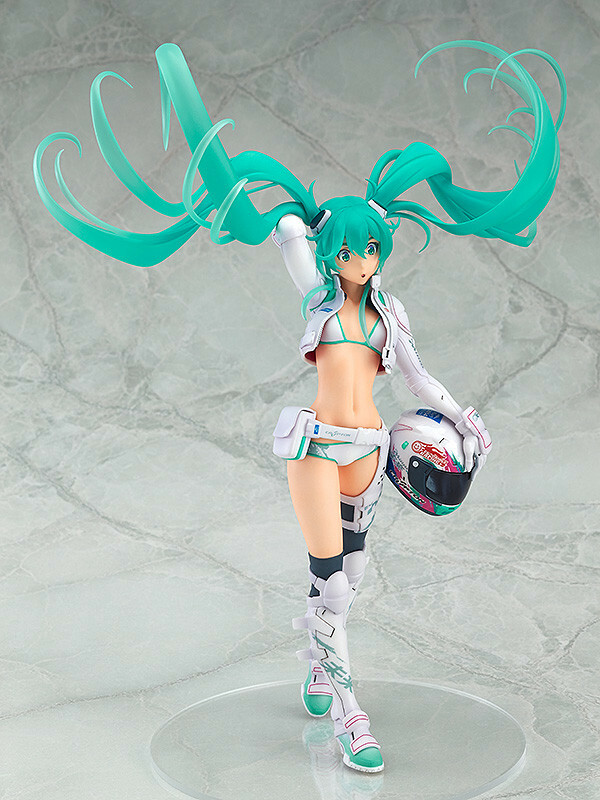 Enjoy adding this cute, sporty Miku to your collection! Painted ABS & non-phthalate PVC 1/7th scale figure with stand included. Approximately 215mm in height. Preorders will be open from 19th March 2015 (Thurs) from 12:00JST until 15th April 2015 (Wed) at 21:00JST.